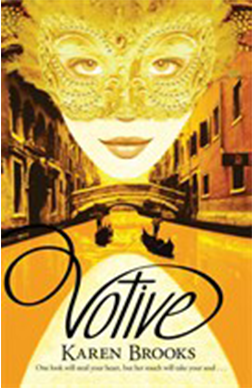 La Serenissima – a beautiful but deadly city where corrupt aristocrats rule and everything, including love, has a price. Tallow is anything but a simple candlemaker and when she has everything taken away from her – friends, family, hope – all she can do to survive is rely on the Maleovellis. Casting aside the safety of her disguise, she becomes cold-hearted Tarlo, female courtesan and the toast of those who, if they knew her secret, would destroy her. But the intrigues of the Serenissian nobility are nothing against the larger forces moving within the world. And Tallow’s enemies have a hidden asset: the one thing they know she cannot possibly resist. Random House – www.randomhouse.com.au Or other online and retail outlets.